British actress Mary Tamm, known for playing the first incarnation of Romana during Doctor Who’s “Key To Time” season in 1978 and 1979, has died of cancer. She was 62. The child of Estonian refugees, Tamm graduated from the Royal Academy of Dramatic Art in London, starting her career in the early 1970s with appearances in British TV shows like Coronation Street, as well as the films The Odessa File and The Likely Lads. She joined Doctor Who in the sci-fi series’ sixteenth-season opener “The Ribos Operation” as the haughty but inexperienced Time Lady Romanadvotrelundar—"Romana" for short—who was assigned to help the Doctor search for the six segments of the Key to Time, a missing artifact with vast cosmic powers. Her character made an effective foil for Tom Baker’s Fourth Doctor, contrasting against his bohemian, devil-may-care personality with an icy sophistication of her own, and matching his arrogance and high-wattage charisma with often-superior intelligence and competence—not to mention a healthy disdain for her older colleague’s eccentricities. 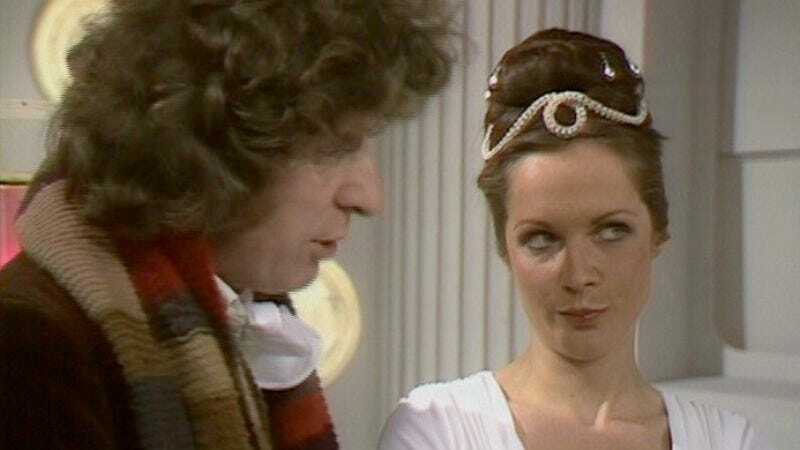 Tamm also played Romana’s doppelganger, Princess Strella, in the season’s fourth serial, “The Androids Of Tara.” But Tamm was unhappy that the format of Doctor Who kept its focus tightly on its title character and didn’t allow for his companions to rival the Doctor in importance, and she left the show after the season finale, “The Armageddon Factor.” Her character was assumed in the following season by a new actress, Lalla Ward (who would later marry Baker). After Doctor Who, Tamm was seen regularly in British TV dramas including Agatha Christie’s Poirot, Paradise Heights, Wire In The Blood, and EastEnders. Like many other Doctor Who series regulars, she returned to reprise her character in audio dramas produced by Big Finish, including a series of six new serials with Tom Baker that will be released next year.